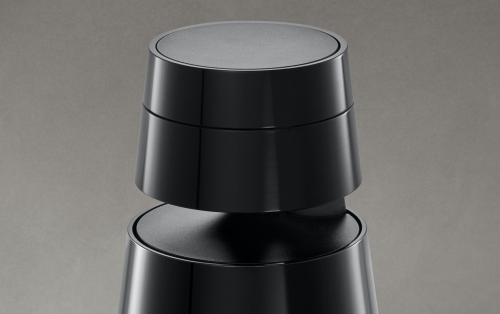 Bang & Olufsen presents the portable wireless speaker BeoSound 1 in a timeless special edition, Piano Black. The speaker has been polished and anodized several times to achieve a mesmerizing reflective surface in pure black that draws the eye to its geometrical design and converging silhouette. Simple, modern and elegant, the Piano Black version is perfect for the minimalistic home. “Within fashion as well as interior design, black is a colour that never goes out of style and its versatility offers an unlimited portfolio of uses. It can add architectural elegance, create a dramatic look, redirect attention, add weight to a specific area as well as balancing out lighter hues. We are really excited to bring forward this colour”, says Bang & Olufsen Senior Concept Lead Kresten Bjørn Krab-Bjerre. BeoSound 1 is a portable and lightweight wireless speaker with a battery-driven option, which has been crafted for mobility. It has a small groove under the top to ensure a better grip when it’s lifted up and moved around, and the conic body hovers slightly above the ground, letting the thumps of the bass units out from underneath. It is slightly open at the top for acoustical reasons, but apart from that, it has a uniform expression on the aluminium surface. The speaker comes with the Acoustic Lens Technology renowned from classic Bang & Olufsen speakers such as BeoLab 5 and BeoLab 18. The acoustic driver is placed in the top of the speakers, playing into a reflector that creates a spherical and powerful 360-degree sound experience. BeoSound 1 brings forward a magical experience using proximity sensors that enable control of the basic operations on the speaker intuitively. As the sensor detects your presence, it is ready for commands with the user interface turned towards the user. Turn the wheel to adjust the volume, and simply swipe and tap on the top for other commands. Multiple connectivity options such as Google Cast, AirPlay, DNLA and Bluetooth offer easy access from mobile devices and music apps. BeoSound 1 also provides integrated access to TuneIn Internet radio stations as well as Spotify and Deezer music services to allow streaming of music without using a smartphone or tablet. 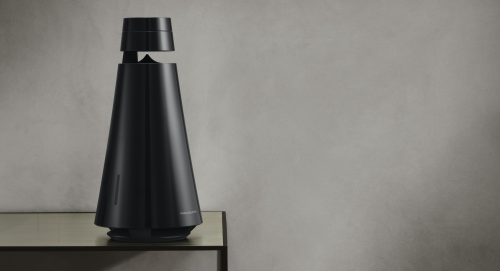 Moreover, BeoSound 1 supports BeoLink Multiroom, which connects your Bang & Olufsen products into one wireless music system across the home. 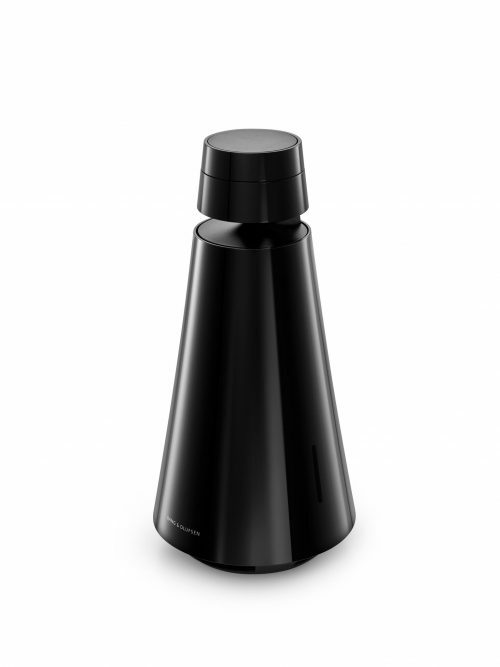 BeoSound 1 Piano Black is available exclusively at Bang & Olufsen Grand Hyatt with a retail price of SGD 2,000.